Amazon India has recently launched the Amazon Echo devices in India and I’m reviewing the compatible Smart Home devices that are compatible in India. Not many devices are available in India that is compatible with Indian home and Amazon Alexa. D-Link Wi-Fi Smart Plug is a decent budget option available in India which turns any ordinary plug into the smart plug which can be controlled by both app and Amazon Alexa. 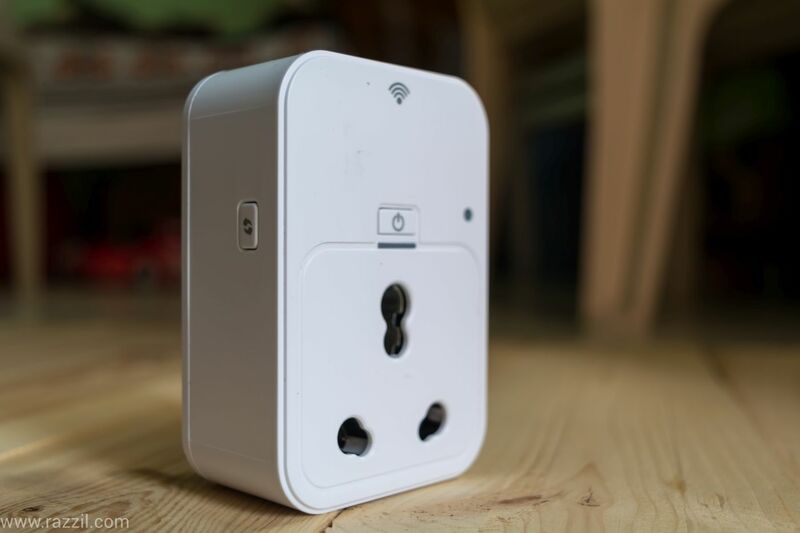 The best thing about this smart plug is that it does not require any Hub, all that is required is a local area Wi-Fi network. There is no Hub so you’ve to put the plug near the Wi-Fi Router. The Smart Plug comes in white color and has manual On/Off switch and Wi-Fi status indicator on the front. On the left-hand side, you’ll find the Wi-Fi Protected Setup (WPS) button and which also works as a Reset button when you hold it for 30 seconds. The Plug is light in weight and it won’t fit in the normal power socket, you need big 15 Amp power socket. D-Link Smart Plug setup is simple but it doesn’t work as stated in the manual. 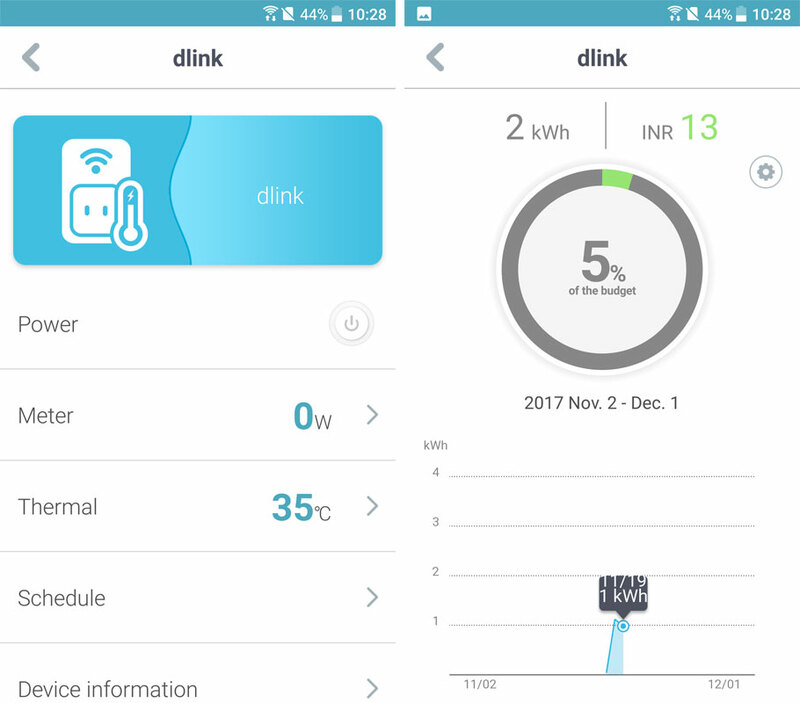 To set up the D-Link Smart Plug, first, you’ve to download the app on your phone and then put the plug into the power socket. Now you’ve to scan the QR code that comes in the package from the mydlink app. Then you’ve to follow the instructions on the app to connect the Plug to your Wi-Fi network. However, for me, setup didn’t well as smooth as mention in the manual. Most of the time app failed to connect the Plug Wi-Fi and once you get succeed in that, the app failed to scan the home Wi-Fi network. The entire setup process took me one hour and I’ve changed multiple phones during the setup. Finally, after setting up the Plug with the home Wi-Fi network, you can control the device from the app. After this, the Smart Plug did everything it was designed to do. I had no trouble after that, I connect the device to my geyser and now I can control the power from the app. You can also schedule the On/Off from the app, it can follow the exact day and time to trigger the event. This is extremely useful if you’re using it with the water heater and you take bath at the exact same time. The Smart Plug also has safeguard protection from overheating, you can set the limit from the app and when the appliance overheats, the plug will automatically turn off the electricity. With the mobile app, you can see the power consumption of the appliance. You can view the month power consumption right on the app and also set the threshold limit and when the consumption reaches a particular level, it’ll automatically switch off the button. In India, there is no appliance that can tell how many units the appliance is burning per day and this is a great feature to track the heavy appliance power consumption. D-Link Wi-Fi Smart Plug is compatible with the Amazon Alexa, which means you can control the device from Amazon Echo. 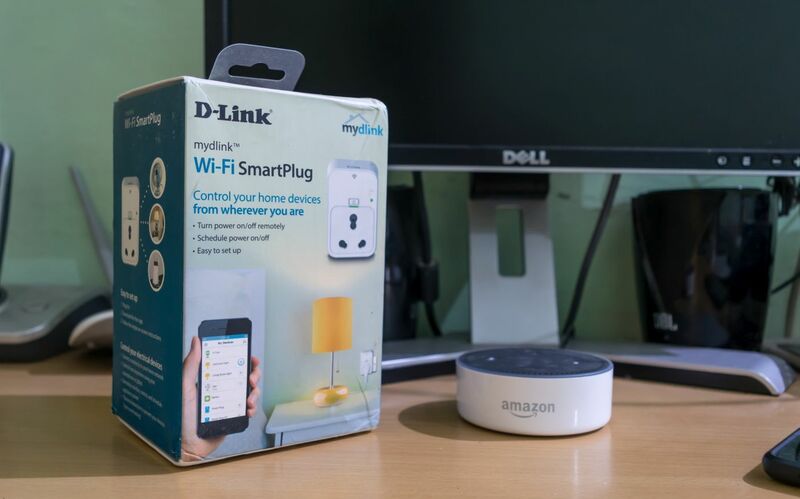 The Integration is very simple and just search mydlink skill in the Amazon Alexa app and connect it with mydlink account. Once the connection is successful, you can trigger the On/Off from the Amazon Echo. Just say “Alexa turn on geyser” and it’ll turn on the smart plug. D-Link Wi-Fi Smart Plug is a superb device for the small home, if you don’t want to invest in hub-based home automation system than this Plug is a superb choice for you. Just plug it into a power socket and it’ll work on your existing Wi-Fi Network. The setup is slightly messy and you’ve to try multiple times to set it up for the first time. Once setup is complete, it works without any problem. With the Amazon Echo & IFTTT integration, it can be extremely useful. D-Link Wi-Fi Smart Plug is perfect for a small home where you'll get Strong Wi-Fi Signal and do not require a cluster of plugs.